What did you love best about How to Market a Website? I learned how really advertise a bit more than I could already do. More resulting tips! The narrator did an awesome job with the audio. I would any encourage small business to listen to this audio book. Yes. Steve always has a great deliverance I have not heard any of his narrations not 5 star material. What other book might you compare How to Market a Website to and why? How to publish a nonfiction book, another audiobook that i listened to today. They have similar inspirational styles. Yes, it was a short book, but it was informative. The information was straight and to the point. I like that. If you could sum up How to Market a Website in three words, what would they be? What was one of the most memorable moments of How to Market a Website? 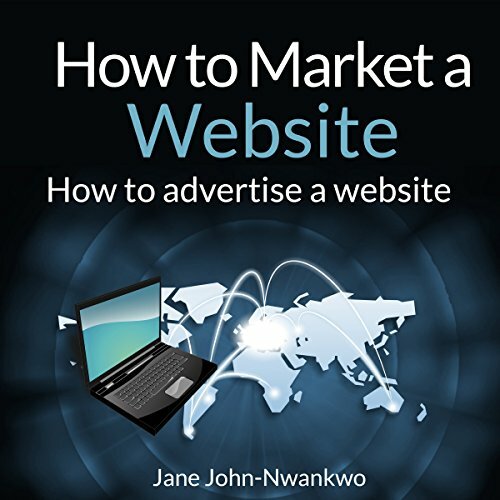 how easy the tips were to market a website, before this book, this stuff seemed like foreign language to me, but this book made things simple! Yes there were several moments that moved me, mainly the valuable info that was provided that made me feel good going forward with marketing my website! Would you consider the audio edition of How to Market a Website to be better than the print version? I loved the audio version, its fits with my busy schedule! I loved how informative it was and how much helpful information it provided! His voice works perfect for this book!